A key concern following Brexit has been the status of international students (and academics) in the UK. Going into the general election, Theresa May has declined calls from universities – and some of her most senior colleagues – to remove students from her government’s target to cut migration by “tens of thousands”. In 2014-15, 437,000 students came from overseas to study in the UK, making up 19% of all UK university registrations that year. In February, the Office for National Statistics released net migration statistics which showed that long-term immigration to the UK fell by a “statistically significant” 23% to 134,000 in the year ending September 2016 – the lowest estimate recorded in almost 15 years. The number of international students coming to study in the UK accounted for much of this decrease, at 41,000. The majority of this figure was made up by students from non-EU countries (31,000). In January, HESA released figures on students enrolled in higher education in 2015-16 which indicated that the number of students coming to the UK from EU member states had increased by 2%. These figures were collected before Brexit, however, so it will be next year’s edition before any impact, if at all, can be identified. Figures from UCAS published at the end of March, however, indicate a 6% decrease in the number of university applications from EU students on the previous year. The ONS migration figures also showed that students from Asian countries made up 68% of the estimated 87,000 non-EU citizens who came to study in the UK during that year. While the UK remains the second most popular destination for international students in the world, after the USA, this is a fall of 23,000 on the previous year. So why are some of Mrs May’s most senior colleagues rebelling against her decision to maintain international students within her migration reduction quota? One major reason is clearly the economic benefits generated for the country by the students. In March this year, research conducted by Oxford Economics for Universities UK suggested that in 2014-15, on- and off-campus spending by international students, and their visitors, generated a knock-on impact worth £25.8 billion in gross output to the UK economy. The 2014-15 international student cohort accounted for £10.8 billion of UK export earnings that year. Tuition fees account for £4.8 billion of the total figure. The research also found that spending by international students supported over 200,000 jobs in UK university towns and cities and that the economic activity and employment sustained by international students’ off campus spending generated £1 billion in tax revenues. Conservative MP Anna Soubry has pointed out that the economic contribution of international students continues even after they have completed their studies, in the form of “goodwill towards our country”, which “ often results in business deals as well as improved international relations and understanding”. It would appear that the public shares her sentiments: a poll conducted by Comres following the publication of Universities UK’s research found that 74% of those asked would like to see the number of international students in the UK either maintained or increased, after being told of the economic benefits they generate. Despite this, the Prime Minister’s only concession so far has been to allow the newly created Office for Students to publish separate figures on overseas students, although they will still be recorded as part of the overall migration figures. It has been suggested that a potential Conservative backbench rebellion over the government’s decision to remove the House of Lords’ amendment to the Higher Education and Research Bill on the issue was only defused by the decision to call a snap election – although MPs from both the Conservative and opposition parties have vowed to continue to fight the government’s stance. The Independent has launched a campaign – Drop the Target – supported by Soubry, which is demanding answers from the government on why they are continuing with the policy, which they argue is economically and socially damaging to the country. 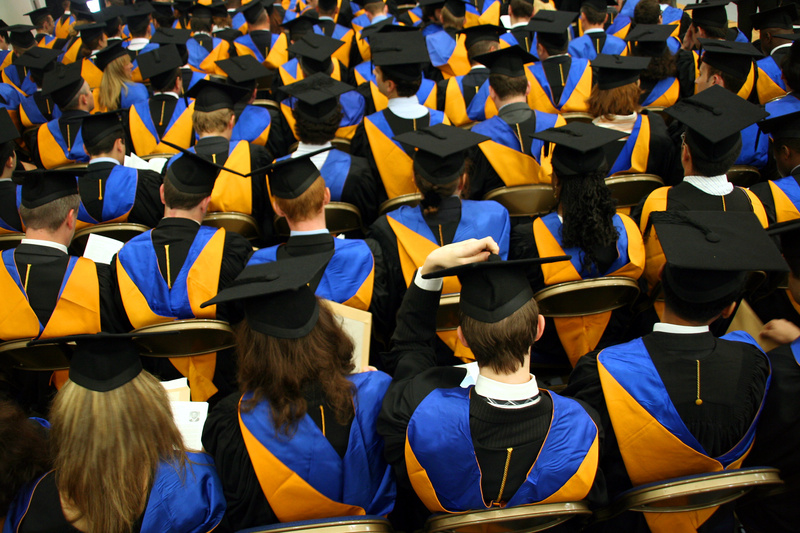 Graduate ‘brain drain’ – is regional economic growth the solution? With the economic performance of cities and regions increasingly reliant on the skills of their workforce, the longstanding issue of graduate ‘brain drain’ to London and the south is something that needs to be addressed. Although students attend many of the universities spread across the country, a significant number of graduates flock towards the capital at the end of their studies. According to a recent report from Centre for Cities, this deprives other cities of skilled workers and essentially damages the overall economy. A quarter of all new graduates in 2014 and 2015 were found to have moved to work in London within the six months of finishing their degree. And the highest achievers make up a significant proportion. While London accounts for around 19% of all jobs, of the graduates that moved city six months after graduation London employed 22% of all working new graduates, and 38% of those with a first or upper second class degree from a Russell Group university. Other figures show that 310,000 graduates have left the north in the past decade, contributing to a net average deficit of 7,500 highly qualified workers leaving annually, or 75,500 over a decade. Northern regions have to some extent offset the effect of local brain drain by attracting enough highly qualified foreign workers to fill the gap. But with reductions in immigration, these regions could be left lacking. Given the UK’s current position regarding the EU, concerns have also been raised over whether Britain faces a further brain drain of academics to Europe, following Brexit. A recent survey highlighted that 42% of academics said they are more likely to consider leaving Britain after the vote to leave. While it may seem plausible to assume that higher salaries are the reason for this brain drain, it appears that the main pull for graduates is the availability of jobs and career progression, which London’s vast labour market offers. However, as recent research from Homes for the North has identified, these are not the only reasons. It highlights the importance of additional non-work drivers of graduate location decisions, including the cost and quality of housing, quality of local amenities and the prospect of home ownership. Of the graduates polled, 80% said the quality of housing was important, while more than 60% said the cost of housing was important. The quality of green spaces and local amenities was also deemed important by over 60% of graduates. What can be done to redress the balance? There have been numerous graduate retention initiatives at the local and regional level aimed at tackling the uneven distribution of graduates, such as graduate wage subsidies and local graduate job matching. But it seems little has improved. The Centre for Cities research argues that these alone will not tackle the root cause of the graduate brain drain. It suggests that cities themselves have a vital role to play in ensuring the local job market offers an appropriate number of graduate job opportunities that will allow them to both retain graduates and attract graduates from elsewhere. Policy should therefore broaden its focus to improve local economies by investing in transport, housing and enterprise, rather than focusing solely on graduate retention and attraction policies. The chief executive of the Centre for Cities commented that the government’s new economic and industrial strategy should be used to strengthen existing devolution deals for city-regions such as Greater Manchester, extending their scope to grow. Indeed, the industrial strategy green paper, published in January, clearly places emphasis on addressing the economic imbalances across the UK through a number of measures, such as working with local areas to close the skills gap, including new schemes to support the retention and attraction of graduates. However, the strategy has been criticised for providing little clarity on how regional rebalancing and sectoral deals will work in practice. While it appears clear that cities outside London need to improve their graduate offer with better job prospects, the evidence on graduate migration suggests it is more complex than this. As has been argued, the provision of good quality affordable housing could play a role alongside high-skilled job creation and opportunities. With the cost of living in London so expensive, this would make sense, particularly as the average graduate salary in London is not that much higher than the average across other UK cities.